For orders of 4+ charts or international orders, please contact acusportorg@gmail.com. 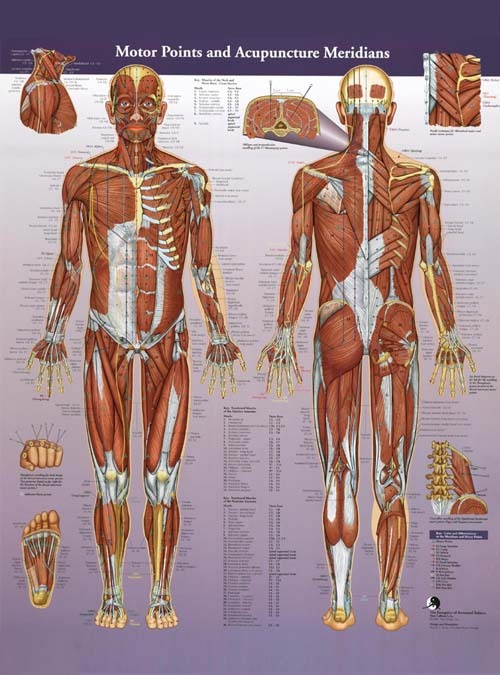 Superficial and deep views of detailed muscle anatomy. Anterior and posterior views of the body. Over 100 motor point locations. 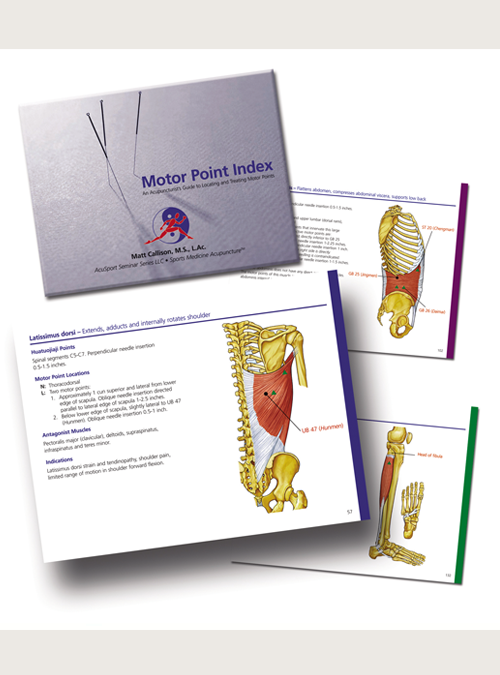 Easy to read, color-coded acupuncture points and meridians. 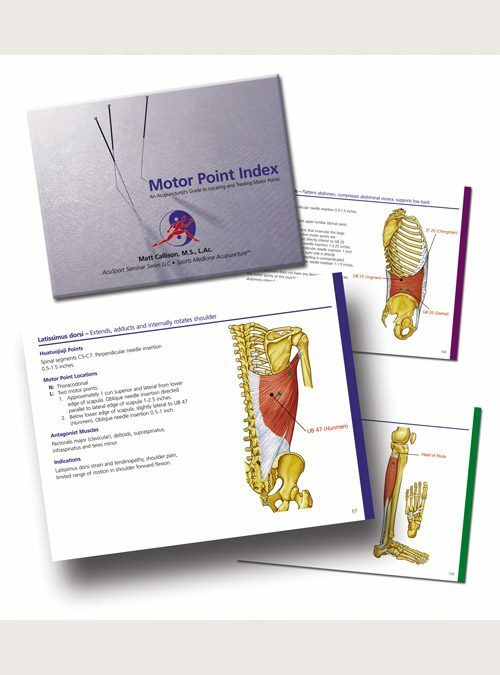 Instructive needle technique diagrams specifically for motor points.